Whether you’re a B2B, B2C or B2[insert letter here], blogging is an excellent marketing tool that more marketers should be taking advantage of. We have compiled a list of reasons and helpful tips that can get you successfully blogging today. Blogging may lead to a thought leader-like status. Gives a reason for people to regularly visit your site. Offers an opportunity to engage with your customers and to better understand their needs and interests. Creates trust between the brand and the customer. Forces you to read and learn about aspects of your industry you may not have been aware of before. It doesn’t really cost much to get started. As mentioned above, blogging gives you the unique opportunity to better comprehend your audience. Tailor your blog content specifically to what interests them and what will bring value to their lives. Create a mixture of content that is informational, relevant to current events and to what’s trending, as well as evergreen content. Evergreen content is any type of content that does not have an expiration date. It is something that you can write today and will still be relevant a year from now. Sharing your blog content on your social media profiles is a given. But also, if you think about it, blogs can be considered their own form of social media: they are spaces on the internet where people come to read, learn, and engage with information that someone else has provided to them. Between the comment section on your blog and social media, you will receive all types of feedback, including unwanted criticism, from your followers and commenters. Take all of the positive, as well as the negative feedback, and write your future blog posts with these ideas in mind. 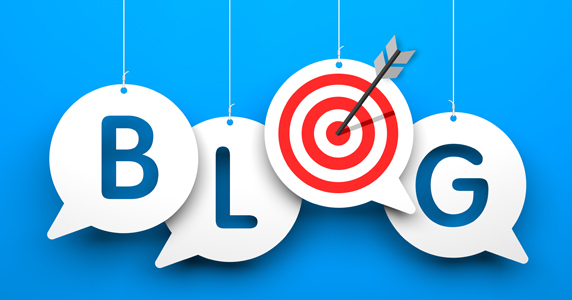 A great way to extend your reach beyond your own readers is be to write guest posts on other blog sites and in return, you can have these same guests write for your blog. Your content will be seen by your audience in addition to the audience of another industry expert. By having these connections, you will not only have some terrific content to house on your blog, but you will also increase your notability, thus furthering your thought leadership-like status. You want to optimize your content. Focus each blog post around a keyword phrase, aka the main topic of what that post is about and use search-friendly text. And be sure that your blog post is mobile-friendly. In addition, you always want to backlink to internal and external content. Backlinking is a hyperlink that links from one web page to another. This is important for a few reasons: you can refer to other sites that can confirm your statistics and source of information, it’s a subtle way to advertise other blog posts you’ve written either on your own site or on someone else’s, and it is great for SEO. Well, there you have it. Now that you have some good reasoning and tips to get you started… Happy blogging!